CORE will start by consolidating solutions developed in Reference Projects (Cassandra, CONTAIN, SUPPORT, SAFEPOST, EUROSKY, e-Freight ) in each supply chain sector (port, container, air, post). SCS Capabilities /Building Blocks which represent the essential components of SCS solutions and the development focus for the project. A SCS Solution Development / Delivery Environment to produce solutions for the demonstrators using the SCS Building Blocks; delivery through the CORE Ecosystem will ensure on demand interoperability between disparate systems that may be attached to the CORE network. SCS Solutions Testbed: A set of linked demonstrators creating a test and experimentation environment for SCS Solutions, and showcasing a Secure Global Supply Chain System. Safeguarding supply chains is essential to both the EU's economy and security. The economic impact relates to exports and import flows of the order of 6 billion Euro processed daily by EU Customs. Losses related to security in supply chains have been estimated to €8.2 billion by the European Parliament. These figures are limited to cargo and truck theft and therefore do not include other typical supply chain security incidents such as counterfeit, piracy, smuggling/contraband, sabotage etc. Likewise, besides the monetary impacts, there are other indirect consequences for companies including the loss of brand image, investigation costs, increased insurance premiums etc. These losses may threaten the survival of businesses in the marketplace and ultimately damage the competitiveness and economic development of European countries. The vulnerability of supply chains is not merely expected to damage the trading sectors, but in the long run may also impact the security and quality of life of our societies. If customs administrations fail to collect enough tax revenues there will be less money that governments may reinvest in the country. Likewise, if borders’ controls fail to detect weapons of mass destruction entering a country the consequences could be enormous and devastating. Vulnerabilities from natural disasters have also been visible in recent years. As a consequence, supply chain security is high on the agenda of governments and business boards alike. Despite the consensus on the importance of supply chain security, misunderstandings and lack of common approaches impact progress. The public sector is actively working with producing newer and more sophisticated security certifications (e.g. Authorized Economic Operator) as well as supporting the development of scanning equipment to detect illegal shipments or tax frauds. On the other hand, the traders perceive these initiatives as bureaucratic resulting in excessive and costly paperwork, as well as delays at the borders because of the necessary cargo scanning and screening. To make things even more complicated, global traders have to deal with a plethora of different security certifications required in different continents. Paradoxically, even within the EU27 member states the same security certifications are being interpreted and implemented differently. Finally, traders already have in place their in-house developed security requirements, that unfortunately may conflict with governmental ones and therefore cause even more costs, and in the end, tardiness to comply. Further, European policy highlights the need to maintain or improve supply chain security levels whilst also expanding transport and logistics networks to enable industry throughout the Union to have effective access to the Single Market and the international market . In addition, momentum towards international co-operation and harmonisation of approaches is gathering pace. 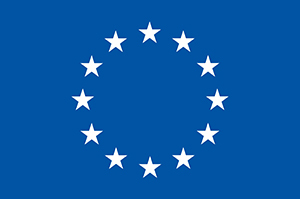 A EU-US joint statement on supply chain security advocates "facilitation and expedition of the smooth flow of legitimate international trade through the use of multi-layered risk management tools". Other international initiatives concern the development of supply chain security research globally, as well as standards for information exchange. For instance, both the US and China and other major trading countries are committed in actively collaborating with the EU in the area of supply chain security research, information exchange, and compliance with global standards in the sector. Central to developing these standards is the WCO Globally Networked Customs together with industry associations that act as catalysts for international co-operation, forum discussions and industry engagement. Resilience to withstand threats and to recover rapidly from disruptions. GM Demonstrator- Intercontinental Secure Trade Lane and resilient Supply Chain Optimisation demonstrator: the General Motors application - The CORE solution and its security, efficiency and resilience benefits will be demonstrated for a complex Intercontinental Secure Trade Lane Enterprise (ISTLE) which comprises the General Motors (GM) automobile trade lane from the EU to US using transportation modes which include truck, ocean carrier, and rail. CORE’s real-time supply chain optimisation toolsets will be used to prove that improved security levels and facilitation of trade (between the US and Europe) can be achieved while offering tangible benefits. Demonstrator FALACUS FAstLAne through CUStoms Italy – US trade lanes - Application of Next Generation Scanning systems and CORE Dashboard for combining corridor with SC data in security management decision support. To read a summary of progress in settiing up this Demonstrator, click here. To read a summary of the final report on phase one developments of the FALACUS demonstrator, click here. Demonstrator Felixstowe – create a seamless, integrated data pipeline concept in the UK on trade lanes with China and Australia, capturing reliable, accurate and complete data that enables supply chain security and effective risk targeting by businesses and border agencies. To read a summary of progress in settiing up this Demonstrator, click here. To read a summary of the final report on phase one developments of the Felixstowe demonstrators, click here. Demonstrator Rotterdam - improving business supply chain control through security measures and advanced data-sharing for SC visibility in dashboards, and re-use of these business controls for government control purposes of multiple inspection agencies. Demo covers multiple trade lanes on connections with Russia, South America and others, through the Port of Rotterdam (Netherlands). To read a summary of progress in settiing up the FloraHolland Ocean trade lane element of this Demonstrator, click here. To read a summary of the progress and results of this demonstrator from month 12 to month 18 of the project, click here. To read a summary of progress in settiing up the Design for Security element of this Demonstrator, click here. To read a summary of the final report on phase-one developments of the Security demonstrator, click here. To read a summary of progress in settiing up the Intelligence Demonstrator element of this Demonstrator, click here. Demonstrator Schiphol – apply global data pipeline concept to air cargo supply chains, managing air freight specific trade compliance requirements, and offering supply chain visibility in dashboards. Trade lanes with e.g. Africa, involving multiple inspection authorities. To read a summary of progress in settiing up the demonstrator of the FloraHolland air trade lane from Kenya to the Netherlands, click here. To read a summary of the final report on phase one developments of the Kenya demonstrator, click here. Demonstrator Belgium - The first part is the "Drugs free import" demonstrator of EFICO's coffee supply chain from South-America to the Port of Antwerp. To read the final report on phase one developments of the Drugs free import demonstrator, click here. To read a summary of the final report on phase-one developments of the Drugs-free import demonstrator, click here. The second part is a best practice case on "Long-range rail transportation of sensitive goods". To read a progress report on the study into the feasibility of long-range rail transportation of sensitive goods, click here. To read a summary of the report on ICT framework on long-range rail transportation of sensitive goods, click here. BSH demonstrator will develop a secure and efficient port-hinterland connection for a containerized supply chain to show how visibility and better data quality can lead to improved operational efficiency, reduced variability in lead times, improved resilience and better risk monitoring and control. To read a progress summary on the BSH demonstrator, click here. To read a summary of the final report on phase one developments on the BSH demonstrator, click here. DHL demonstrator will show the use and benefits of a Security control tower, including real-time tracking of time-sensitive shipments and advanced security control measures. To read a progress summary on the DHL demonstrator, click here. To read a summary of the final report on phase one developments of the DHL demonstrator, click here. Intermodal transport of dangerous goods demonstrator - tracking and tracing solution based on the use of the European satellite navigation for the intermodal transport of dangerous goods.